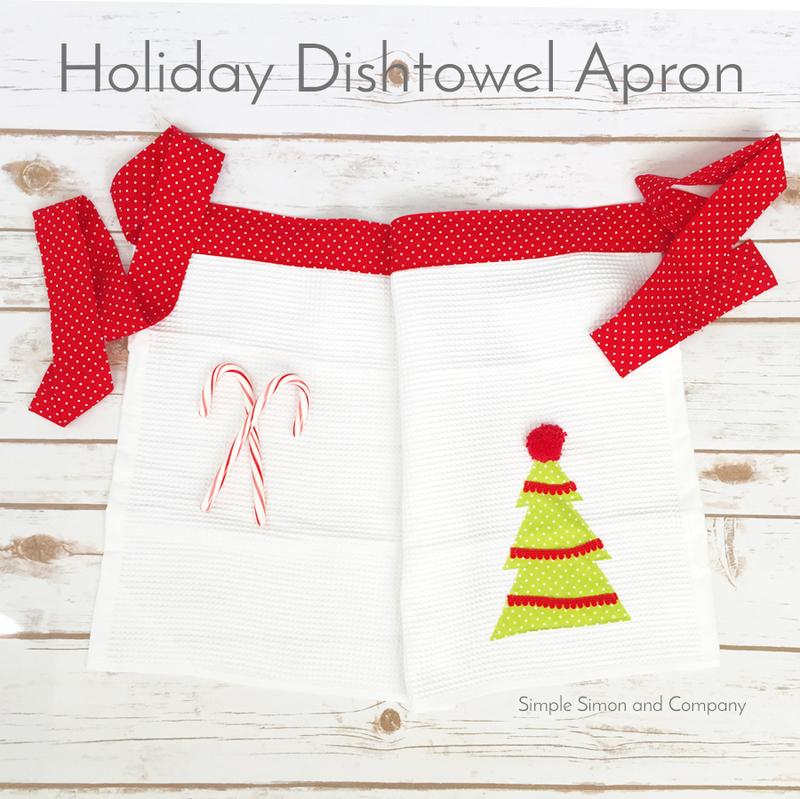 If you are still needing some last minute gifts for some special people in your life—these simple Dishtowel Aprons are the way to go! They are fast and you can embellish them any way you choose. And it’s a project that you can make in an afternoon. 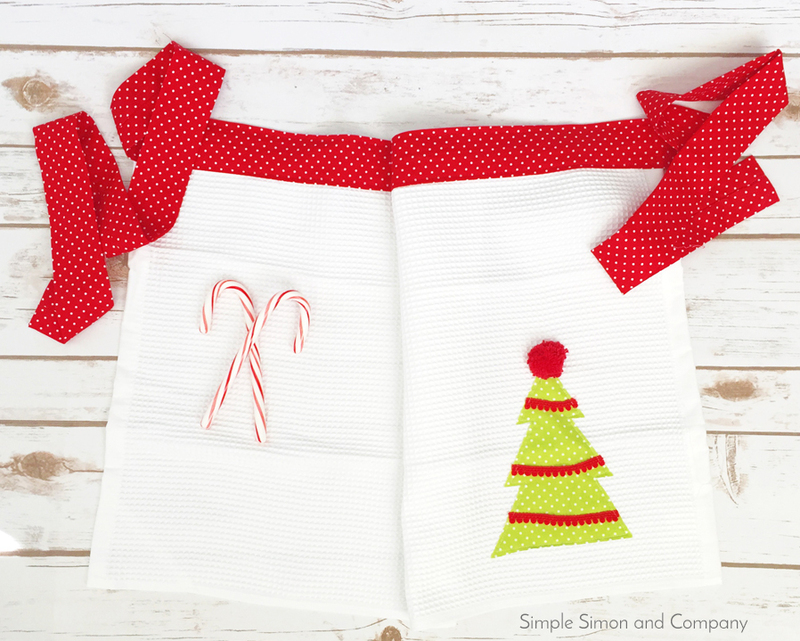 All you need are a few things and you have a darling Christmas apron that you can wear or give as a hostess gift. Step 1: Press your double sided fusible interfacing onto your scrap green fabric according to the directions on the interfacing. 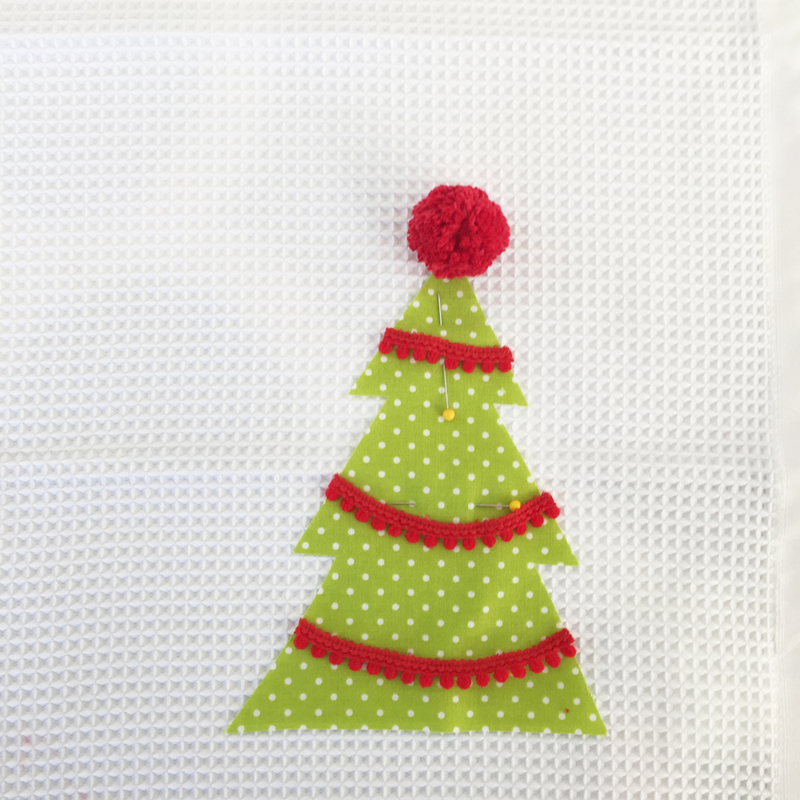 Cut out a Christmas tree shape out of your green fabric and press it onto the towel. Then pin your trims into place. 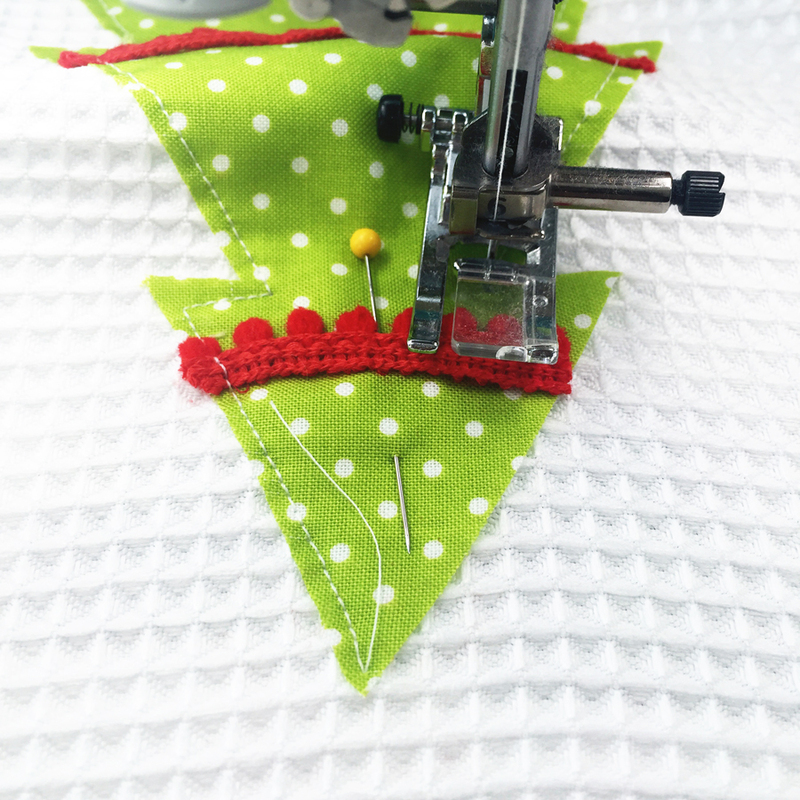 Step 2: Stitch around the tree shape and include the trim as you stitch down the perimeter of the tree. 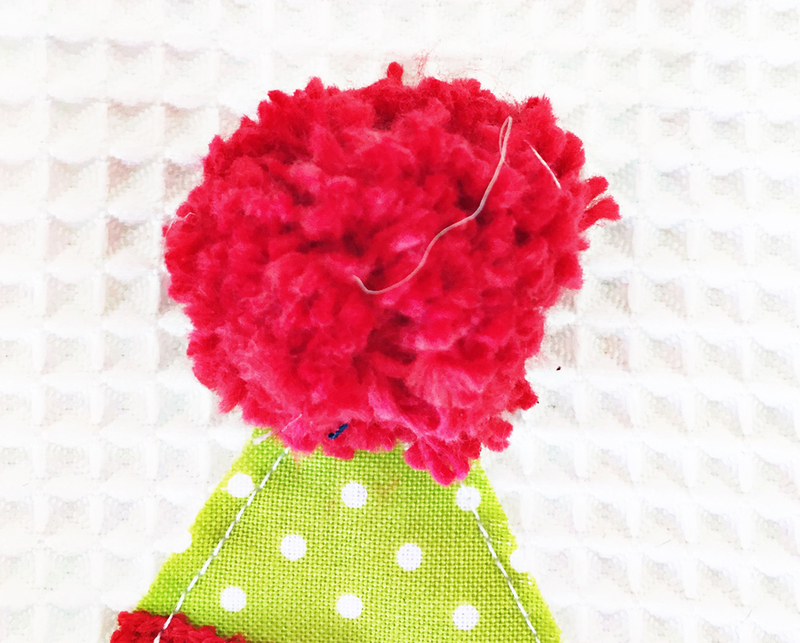 Step 3: Handstitch the pom pom on top. 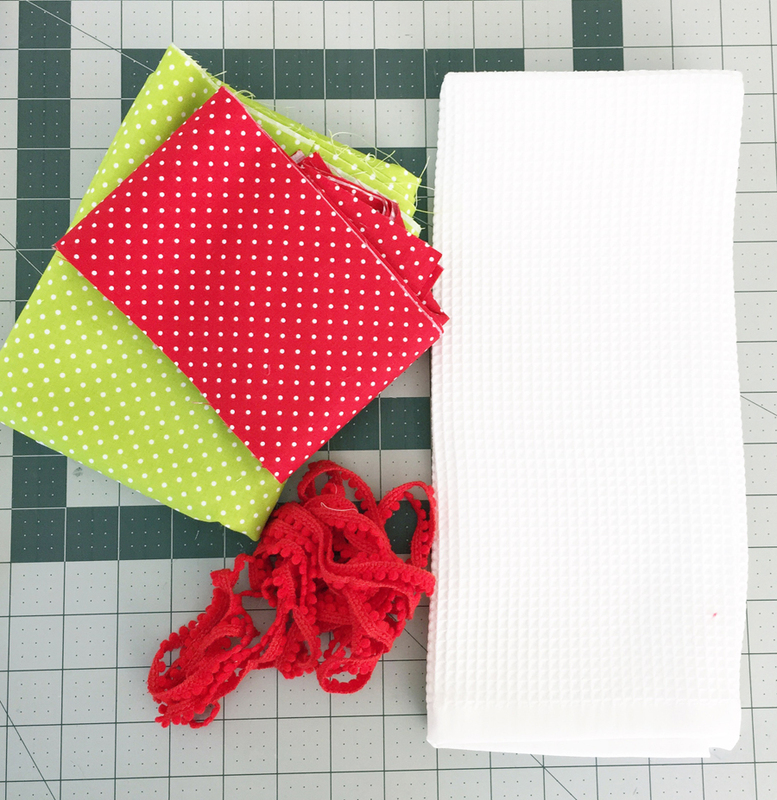 Step 4: Make the waistband for the apron and stitch it on top of the dishtowel. Click HERE for a tutorial for the waistband and you are done!